If you’ve been searching for a new lightweight, portable tablet that could also be a laptop at your command, Dell claims they have the perfect device for you. The Dell XPS 13 2-in-1 hybrid is a follow-up to the company’s critically and commercially successful laptop, the XPS 13. Unveiled at CES 2017 earlier this year, the 2-in-1 borrows several ideas from its predecessor, while introducing a few of its own; key among them being, of course, screen hinges that allow the display to lie flat and rotate against the keyboard for use as either a tablet or a laptop. However, while its older, more traditional sibling was a huge success, the 2-in-1 market is jam-packed with competitors. Will the XPS 13 hybrid triumph over the likes of the Surface Pro 4, Asus Transformer 3 Pro and the newly released Samsung Galaxy Book? In matters design, the Dell XPS 13 2-in-1 ticks all the boxes. Like its rivals, it’s remarkably thin and light. 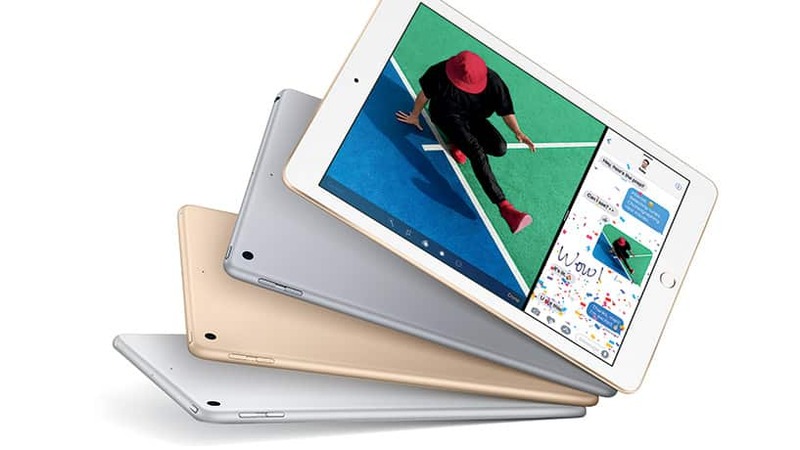 Its polished aluminum casing and well-cut edges make it one of the most comfortable convertibles when held in tablet mode. 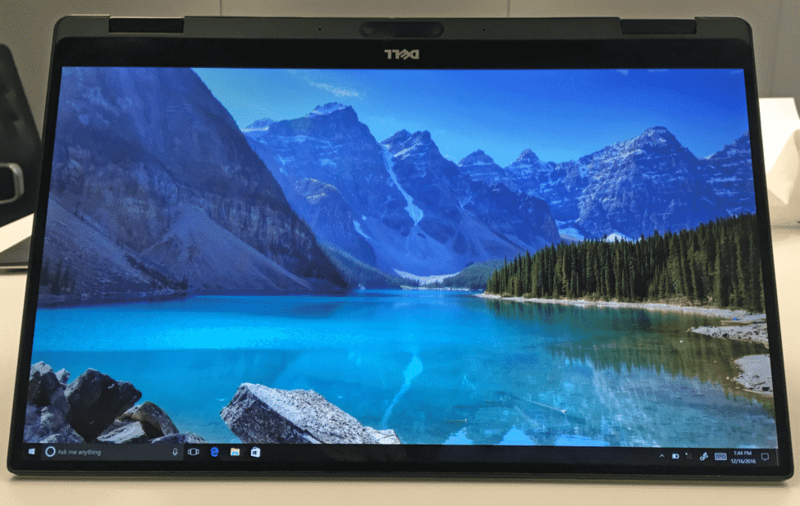 However, the product’s strongest design feature is its Infinity Edge display, which enables Dell to pack a 13.3-inch panel into a body that typically houses an 11-inch screen. Hybrids are best known for their portability, and the XPS 13 is as compact as they come. I, like many other past XPS users, still remember the first time I powered on the QHD+ model of the XPS 13 laptop. I had seen the specs sheet, and I knew I was in for a treat, but I was still awed by the sheer quality of the display. The new hybrid upholds its predecessor’s high standards by sporting a similar 3,200 x 1800-pixel resolution screen, whose picture quality perfectly complements the brilliant near-bezel-less display. With many other devices in its class packing lower resolution QHD displays, the XPS 13 is undoubtedly outstanding. Nevertheless, if you want to dial things down a bit, you also have a cheaper Full-HD matte option, which is excellent as well. As far as visual quality is concerned, few 2-in-1s can stand in the way of the Dell XPS 13. As with the XPS 13 laptop, Dell is selling the new hybrid in several hardware configurations on demand. 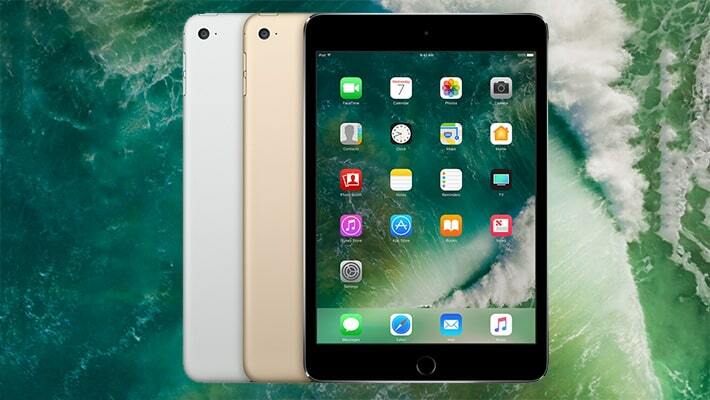 However, the primary model packs a 7th generation Intel Core i5-7200U, 8GB of RAM and 256GB SSD storage. Other brands might be catching up fast but, at the moment, Dell is among the few offering 7th generation processors in its 2-in-1 devices. 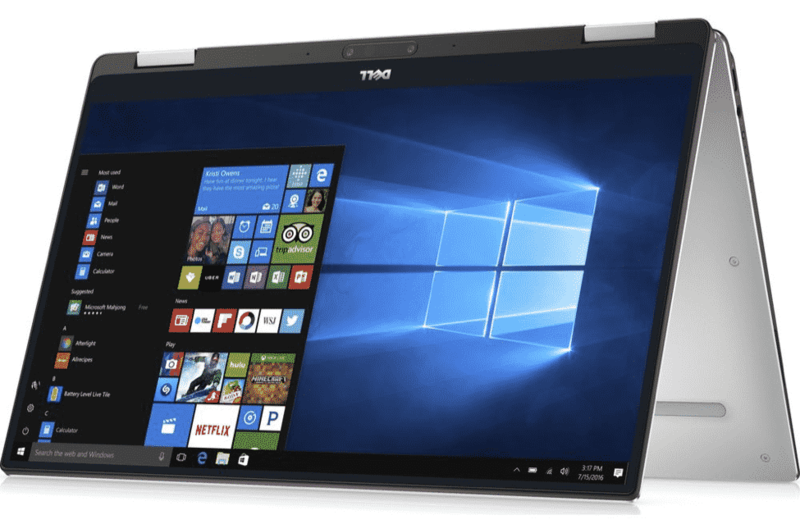 The XPS 13 2-in-1 runs Windows 10 perfectly, handling productivity tasks, such as processing documents and editing media with ease. And even when you have multiple apps open, the device rarely lags. That said, it does come with an unpleasantly large amount of bloatware from Dell and third-party developers, so you’ll probably have to spare some time to clean things up. If you love streaming your media in HD, you’ll have no performance problems with the XPS 13 hybrid, the speakers are, admittedly mediocre, but that’s typical for 2-in-1s. Convertibles are known to offer great battery life and, at 10 hours, the XPS 13 is no exception. 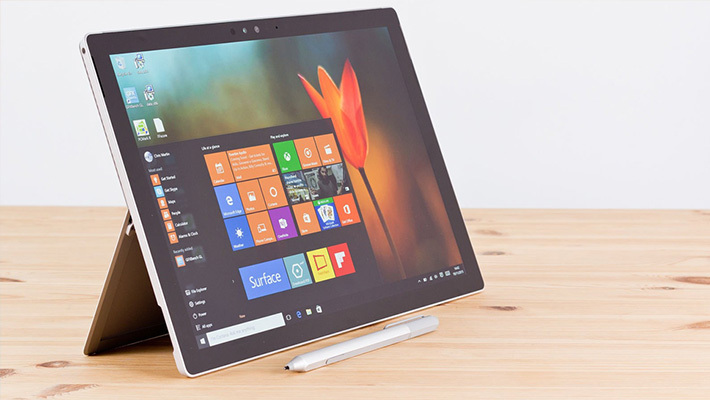 Sure, you can find devices that last longer – the Surface Pro 4 pushes up to 12 hours on average usage – but that’s enough to get you through a busy day at work or school. The less power-hungry Full-HD variant is easier on the battery, but if you’re insistent on the best screen quality, you can purchase Dell’s Hybrid Adapter plus Power Bank, which will add an extra 11 hours of juice. While the XPS 13 hybrid gets virtually all the major factors right, it didn’t give any less attention to the little things. 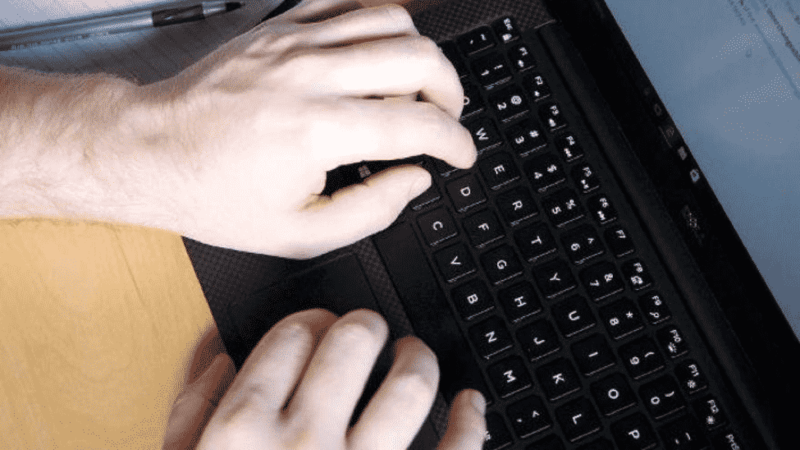 Onboard is a comfortable and backlit keyboard, a responsive touchpad, and a speedy fingerprint sensor. However, ports are rather scarce, with only a dedicated USB Type-C port for charging, and an additional Thunderbolt 3 port, which can adapt to HDMI. In comparison, the Surface Pro 4 comes with a full-sized USB 3.0 port. Nonetheless, it’s an inconvenience you can easily overcome with an external USB hub. Dell had kept us waiting long enough for the XPS 13 2-in-1, but now that it’s finally here, I’m glad they took the time to make it as near-perfect as possible. Excusing the little downsides, it’s an excellent choice, especially if you’re looking for a 2-in-1 that looks and feels rather different from the many detachable devices in the market today. We’ll just have to wait to see whether it’ll stand a chance against the fierce competition.